So for the first time in her life Xena has stopped eating Up until the beginning of November I couldn't seem to fill her up! 5-7 days after a large FT rat and she was tracking the glass and striking at anything that moved, by day 10 she would pull her lighting down, rip up her probes and on one occasion smashed through the vent and went for an adventure around the house! Now I can't get her to eat anything?! We changed rat suppliers (back to ones we'd used previously) and she didn't seem keen but she's never been fussy like that so I kept trying knowing she'd eat if she really was hungry! But it's been nearly 2 months and she's only had 1 or 2 feeds? She is so active and seems to be hunting but when I get her a rat she just looks at it and tries to go past it! Is this normal? Is she looking for a male? How long will this hunger strike last?! I'm used to my BP being off his food but this is the first time it's happened with Xena and it's got me worried! Any advice would be appreciated! Let me get this straight, you are feeding large rats every five to seven days? And you wonder why she is taking a break? Would love to know the weight and age. My females do the same thing sometimes. They will slam food like she has never seen it before for about a month then fast. I wouldnt worry as long as her housing is correct. 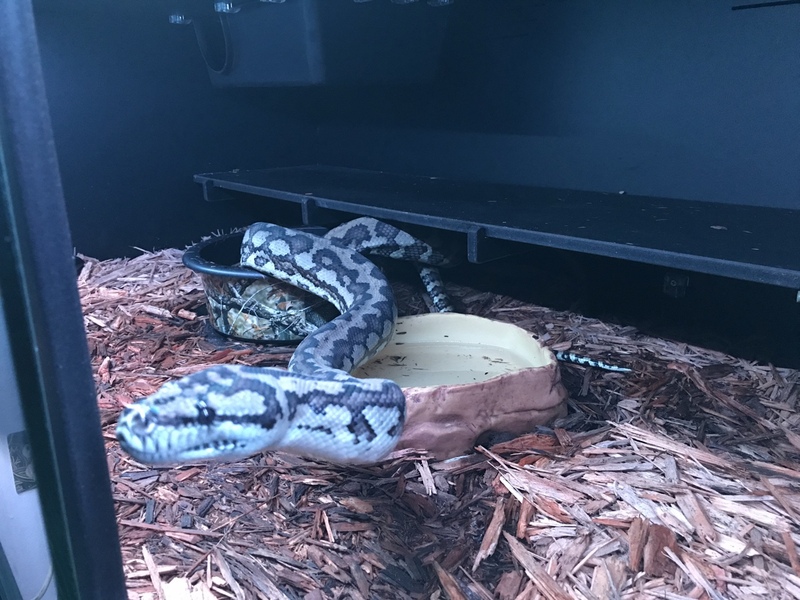 My one female went 6 months without eating at one point. It can be very worry some but dont fret, they will decide when they want to start feeding again. Sounds to me as she is cruising for a male. Could she have been exposed to anything toxic (like pesticide on floors) when she was roaming? I was also wondering about the amount of food compared to the size & metabolism of the snake...? Probably should have included her age, weight and size ￼ she is just over 3.5 years old, weighs around 2.5kg and is just over 7.5ft long. Sonny - Like I said I know she was eating quite frequently for her age but as I tried to hold her out she was destroying her vivarium, could have caused herself harm by striking at the glass, pulling her lighting down, messing with her probes which in turn changed her temperatures... As soon as I fed her this behaviour stopped, I was doing what I thought was best for her. I sought advice from her breeder and he said he'd rather feed more often than too large prey size so I followed that advice. 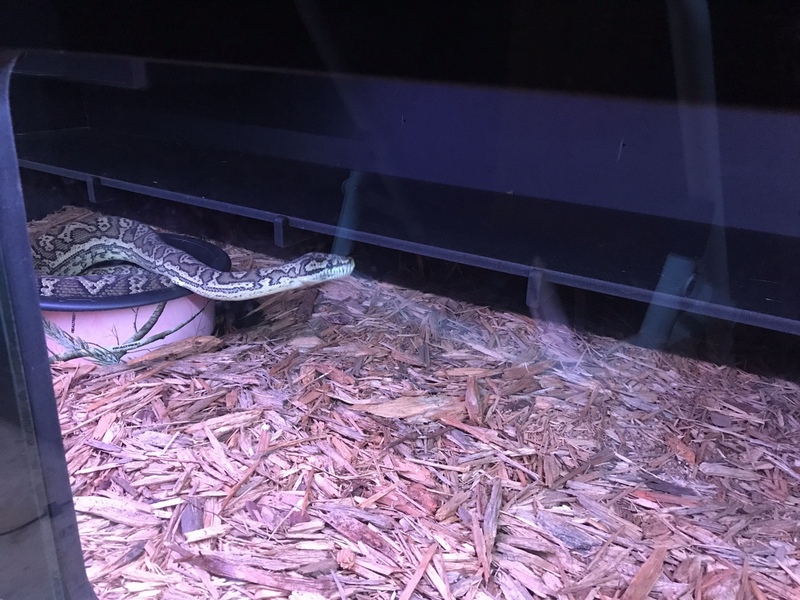 Bogertophis - I am pretty sure that she wouldn't have been exposed to anything dangerous, it was over a month ago and she has seemed completely herself since and has shed in that time too. Like I said above she's just over 7.5ft and around 2.5kg and the rats are 200-250g in weight and she has a visible lump for around 24-36 hours after feeding. I didnt read the large rat thing, I would agree. If I remember correctly, you have a stunning Jag? I have two female Coastals, one is 5 and the other is 8. The 5 year old started getting finicky between 3.5 and 4 years from September and into the Spring. My 8 year old does the same, but I don’t know when she began doing it since I obtained her when she was 5. My 5 year old Male rarely skips a meal. Now my 5 year old female Jungle has never missed a meal. The 6 year old Male Jungle skips meals from September to Spring. Thank you so much for the reassurance! 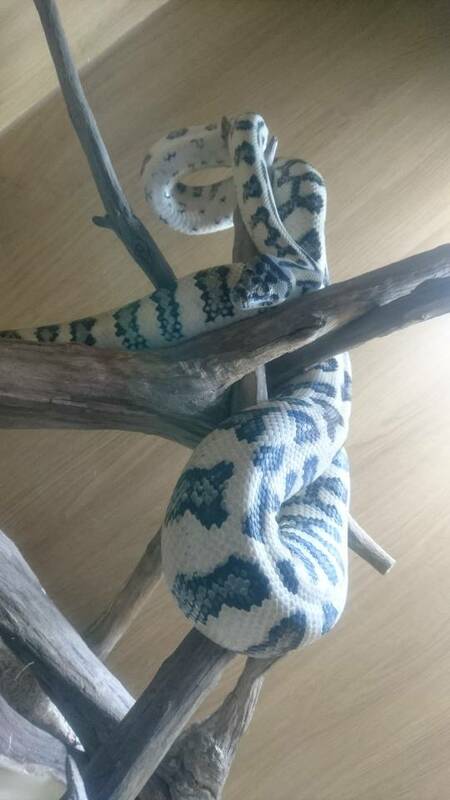 I only have a BP male to compare to and he eats for no longer than 60% of the year! 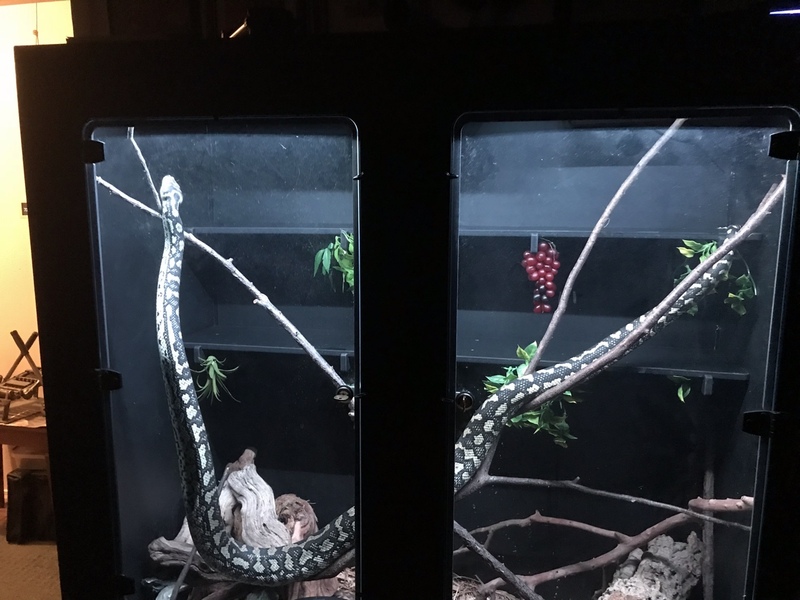  I guess I'll have to get the other half to re-design her viv and make it more destruction proof! 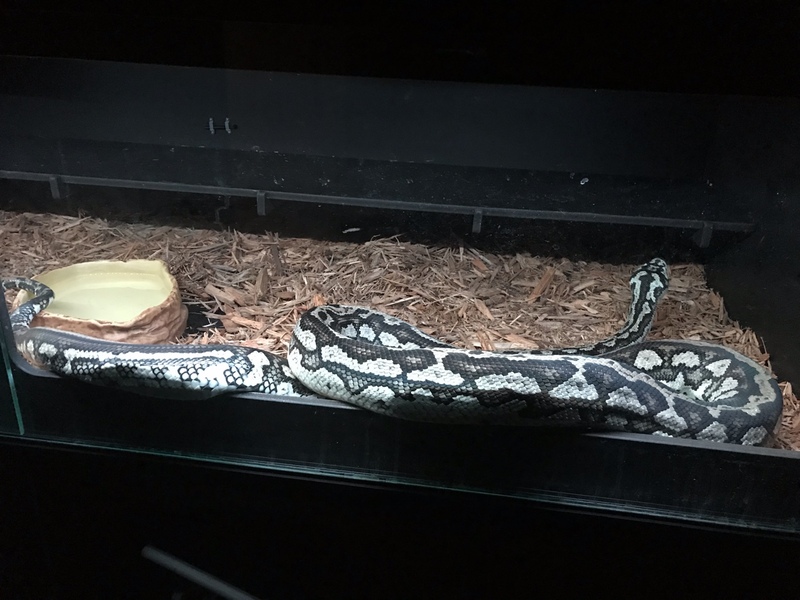 My 17 year old female BP used to be very food aggressive after eating. She would do the hovering S and track me for days, even after 4 medium rats! Obviously giving more did not help. Though members here tought I was nuts, I moved her up to 1 XL/Jumbo monthly. That satiated her and cured the food aggression. After a year I backed her down to a large rat monthly. Yes I was overfeeding with the XL, but see has always fasted for 6-9 months anyway. Esmarelda, JCP, a pure pig! Last edited by Reinz; 12-24-2018 at 03:47 PM.